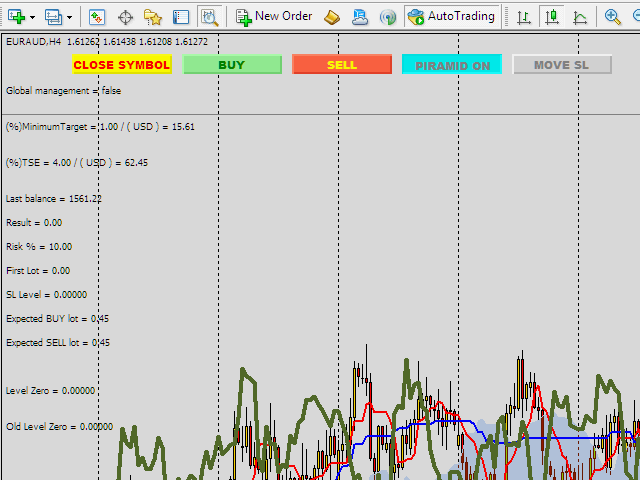 Piramid Machine is a tool supporting manual trading, allowing for a radical increase in profits. The trader must open the first position himself. 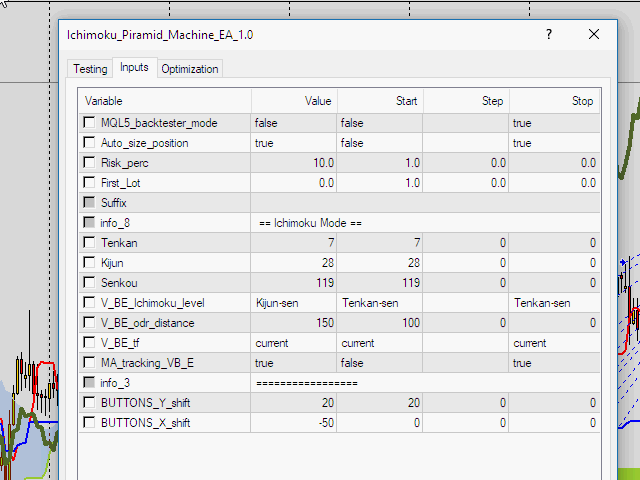 In the "Auto_size_position" mode, the robot will determine the size of the item based on the assumed risk risk "Risk_perc" and the automatically set SL level. 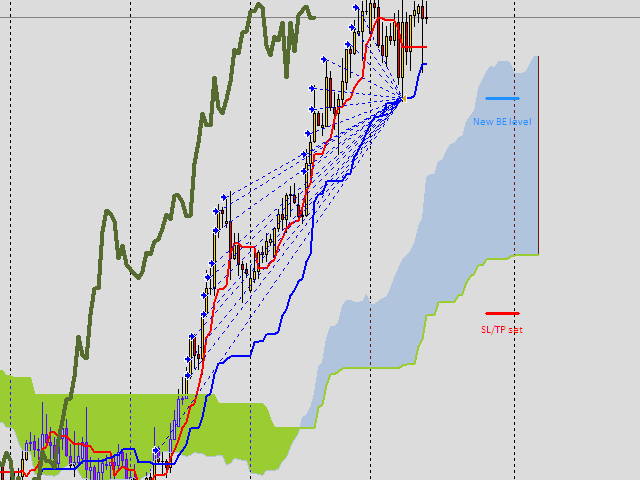 then SL is set at the Kijun or Tenkan level - depending on the choice. The size of the item is calculated based on the planned SL. The principle of the robot's operation is that subsequent items are added to profits. The distance between successive positions is determined by the parameter "V_BE_odr_distance". From the moment of opening the second and each subsequent position, we risk only a profitable profit. This is because the robot selects the size of subsequent positions and shifts the SL for all positions towards profits, thus securing our money. For all who downloaded the robot for testing. Only then can you test the robot. BUTTONS_X_shift - moving the buttons, left / right on the chart.